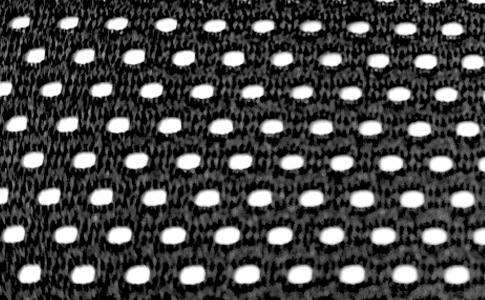 Warp knit is a technical and functional fabric, made for specific use within complex and intricate structures. Due to the special technique and warp knitting machines the fabric has unique qualities as superior dimensional stability, natural elasticity and natural shape retention. We use warp knit for two different qualities: single terry and mesh. Our customers can customize our warp knit fabrics and choose from different yarns, which all have different abilities as well as color, weight and net size. We are proud to say that we have supplied warp knit terry for the Danish hospital industry for more than 30 years, and through these years they have always chosen the exact same quality for one specific use: patient clothing. 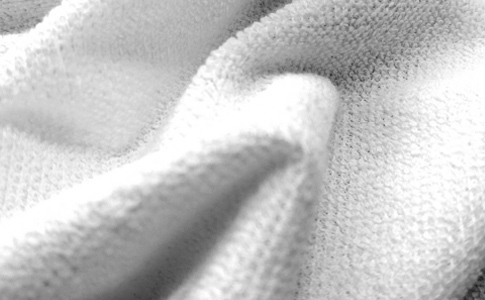 Our warp knit terry is also used for bathrobes, bibs and clothing. Our warp knit mesh has a unique ability to keep warm and temperate the body, and is often used for baselayer-shirts in the military as well as for shirts and pants within workwear, firefighter clothing and high performance wear. Warp knit mesh is also popular in the healthcare industry, as it is used for casts with high comfort and softness.